Ist die Fasching schon vergangen? 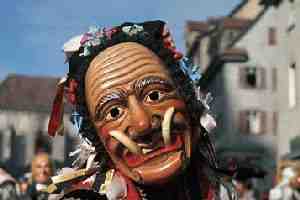 Fasching, Mardi Gras, Carnival; whatever you call it, it's gone! An odd sort of year for those of a calendric bent, with Fasching seeming to come too early, and Chinese New Year too late. The explanation, I'm sure, is most fascinating, dealing with Metonic Cycles, Golden Epochs, and the precession of the lunar orbit. Still, all in all, I'd rather be parading like a fool through the narrow cobbled streets of some medieval town in Germany!